2. Try to get a well-paying job off-campus. Find out what your schedule will look like while you’re in grad school. Will working off-campus be a possibility? Work as many hours as you can at the highest paying job you can find the entire time you are in grad school. Put the largest amounts you can toward loan repayment every single month. To get huge extra benefit from a paid job (besides just a paycheck), look for jobs that include tuition reimbursement as an employee benefit. 3. 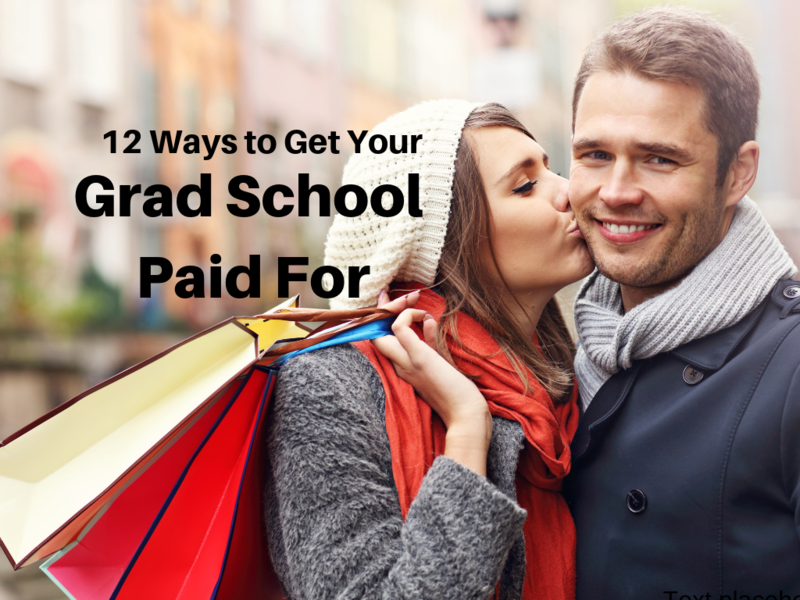 Slash your grad school living expenses to the bone. Find a parent or an elderly relative to live with, and do all their meal planning, shopping, cooking, cleaning, and other household chores in exchange for rent. Do everything you can to slash your living expenses during grad school. The rest of your life will thank you. 4. Fill out the FAFSA form every October 1st that there’s even a chance you’ll be in grad school the following fall. This is important, because the FAFSA form provides you two things: 1) access to the lowest interest loans with the best possible terms if you do end up needing them, and 2) the only doorway on the planet to possible future public service loan forgiveness, just in case you ever decide you want that. The FAFSA is a must for anyone hoping for help getting grad school paid for. Be sure to fill out the FAFSA even if you’re rich, and as you do so, avoid these common FAFSA mistakes. 5. Remember, leave your parents’ income off of your grad school FAFSA form. Once you’re accepted to grad school you’re automatically considered independent of your parents for FAFSA purposes. 6. Ask your grad school for a list of scholarships they know of that you can apply for. Call multiple numbers at the school. The first person you reach may not know how to help you. 7. Call other grad schools—schools you didn’t even apply to—and ask the same question. It doesn’t matter that you’re not a student at those schools. Just ask. Remember, call multiple numbers at each school. The first person you reach may not know how to help you. 8. Make a list of companies that sell products you’ll be using once you begin professional life after grad school. If the scholarship description tries to tell you that the scholarship is only for undergrad students, apply anyway. If you were one of my grad school consulting clients, tweak the main essay I helped you with and use it as your scholarship application essay. Add a paragraph to the essay where you make the case that it makes perfect sense for this company to give you a scholarship for grad school. I’ve had multiple clients who made this argument and won. 9. Do a Google search for scholarships offered by associations in your future professional field. Make a list of all the associations that exist in your future field, and then Google each of them along with the word “scholarship.” Just for fun, I googled “American Dental Association Scholarship” and got immediately to a generous scholarship listed here. Applying for scholarships is a great way to get grad school paid for. If you’ve been accepted to an occupational therapy program, for instance, google “occupational therapy scholarships.” Dig way down in the Google results. If it seems like the scholarship is only for people of a different race from you, or only for single moms, or only for people with a 4.0 GPA, apply anyway. Students get scholarships they’re not 100% qualified for all the time. 11. Apply for at least 10 scholarships every year you’re in grad school. Don’t quit applying for scholarships the first day grad school classes start. You can apply for scholarships all the way through. 12. Don’t turn your nose up at military service without getting all the facts first. Before you rule out military service as a way to pay for grad school, contact your local Army or Air Force recruiter, and get specific detailed information on what it would take to get the military to pay for your grad school. Don’t assume you know how this works. Get the facts. <Bonus 13.> Remember, having a powerful application to the program in the first place is the #1 way to get money for grad school. I work hard to help my clients get exactly this reaction in the application advising work I do at GetIntoMedSchool.com. When you get there, click on GET HELP NOW and you’ll learn how to get a free, super helpful 50-minute phone consultation with me. Our time together will put you in the best position possible to put together the most outstanding law, medical, business, or grad school application. 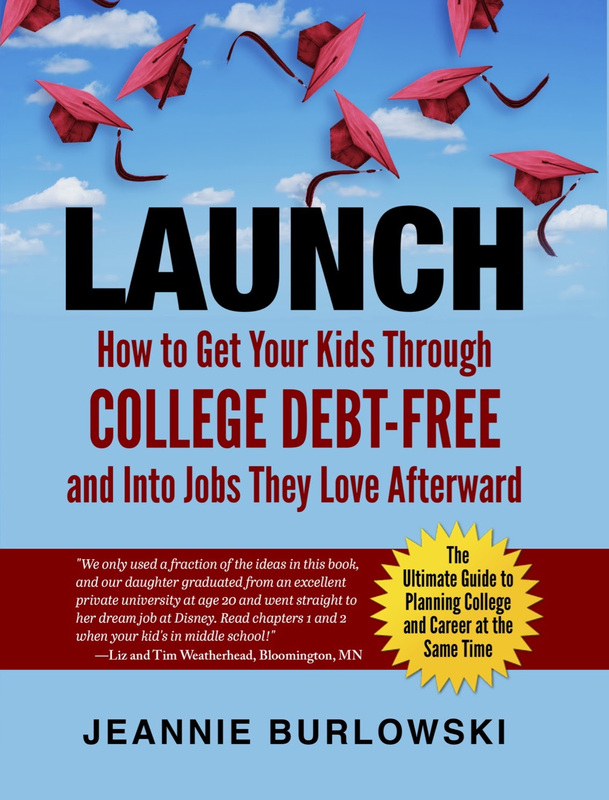 Get started paying off undergrad and grad school debt well before you finish grad school. Be sure to read the three kind, helpful articles I’ve written on the subject of freeing yourself from student loan debt. The information in these articles will start you off on a fantastic financial path years earlier than most other students. Remember, getting grad school paid for is only a small part of the picture when it comes to getting your entire education debt-free. What about you? What strategies have you found for getting grad school paid for? I’m always looking for more ideas! Comment below or LIKE Jeannie Burlowski Author on Facebook, find this post on that page, and let’s talk about it there.